BARCELONA, SPAIN ? APR 14: Chimneys Like Masked Soldiers On The.. Stock Photo, Picture And Royalty Free Image. Image 14200501. Stock Photo - BARCELONA, SPAIN ? APR 14: Chimneys like masked soldiers on the roof of La Pedrera or Casa Mila designed by Antoni Gaudi, on April 14, 2012 in Barcelona, Spain. La Pedrera was built in 1906-1910. BARCELONA, SPAIN ? 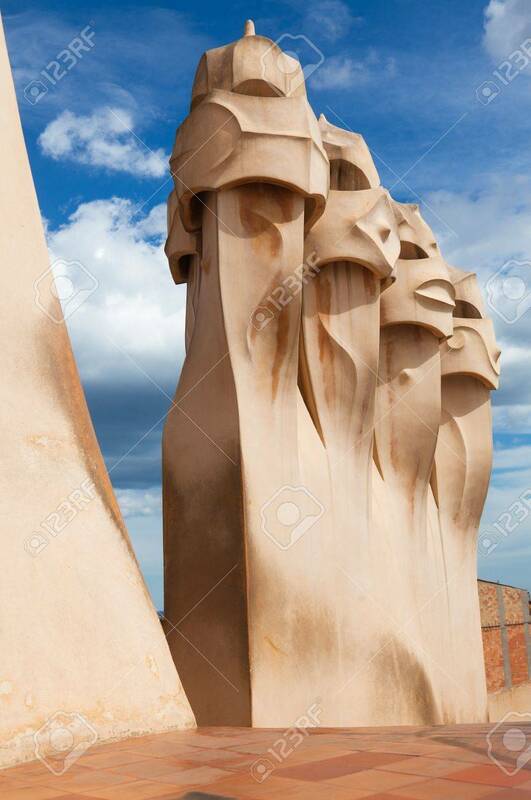 APR 14: Chimneys like masked soldiers on the roof of La Pedrera or Casa Mila designed by Antoni Gaudi, on April 14, 2012 in Barcelona, Spain. La Pedrera was built in 1906-1910.